One of the most surprising facts about the Earth is how we easily forget that what an amazing and interesting planet we live on. As Carl Sagan pointed out, “It’s home, it’s us”. It is the only world known planet to support an atmosphere with free oxygen, liquid water on the surface, and, perhaps this is the most important amazing, life. Here are 50 scientific facts about the Earth. We’re living in a big, fast-moving (really fast!) spacecraft. Even when you’re resting on your armchair, you’re flying through space faster than the fastest human-made object ever built: around 1.3 million miles per hour (2.1 million km/hr). 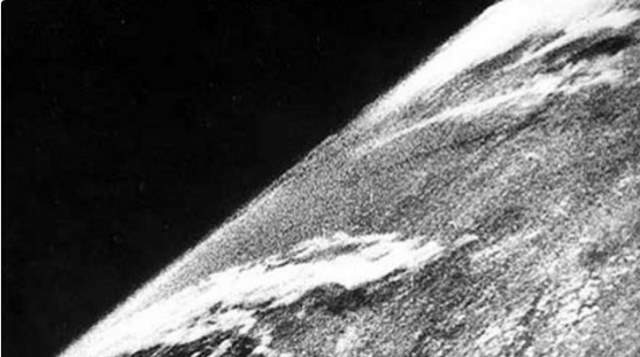 Long before the Soviet-made Sputnik truly began the space age in 1957, on October 24, 1946, the first photo of Earth from the space has been taken. The scientists launched a Nazi-built V-2 rocket (No. 13) from the White Sands Missile Range, a United States Army rocket range in southern New Mexico. There was a camera aboard the rocket, and when the rocket reached 105 km (65 mi), the black-and-white photo was taken. The rocket was one of the V-2 rockets captured and moved to the US at the end of the WWII. The farthest spacecraft from Earth, Voyager 1, took a photo of planet Earth in 1990, from a record distance of about 6 billion kilometers (3.7 billion miles, 40 AU) from Earth. 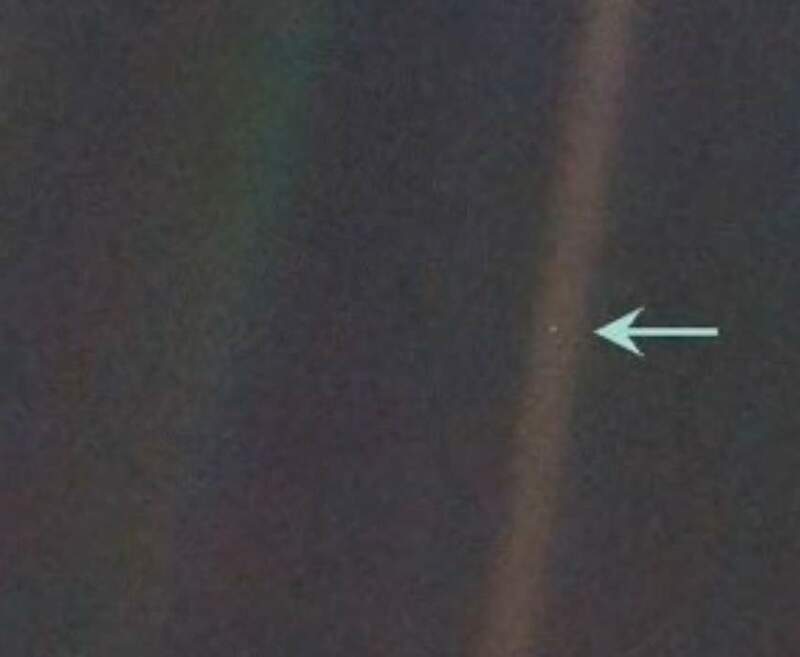 The photo is known as the Pale Blue Dot. 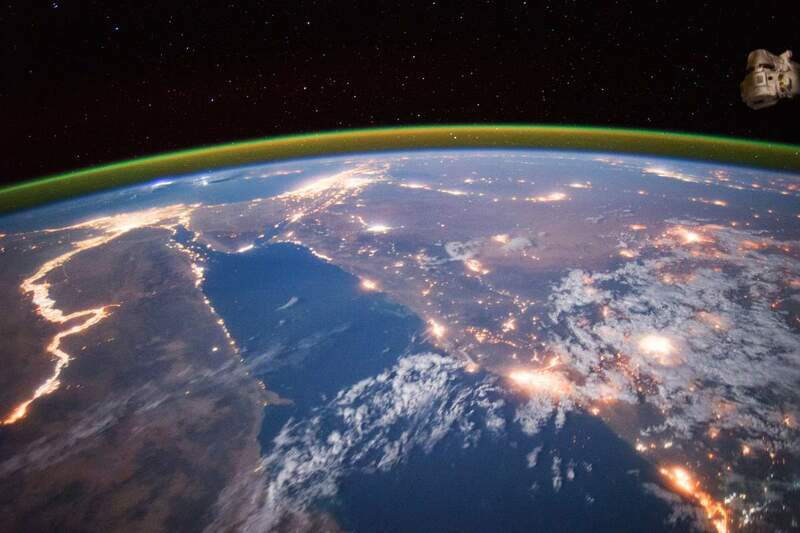 In the photograph below, Earth is shown as a fraction of a pixel (0.12 pixel in size) against the vastness of space. “Consider again that dot [Earth]. That’s here. That’s home. That’s us. On it everyone you love, everyone you know, everyone you ever heard of, every human being who ever was, lived out their lives. The aggregate of our joy and suffering, thousands of confident religions, ideologies, and economic doctrines, every hunter and forager, every hero and coward, every creator and destroyer of civilization, every king and peasant, every young couple in love, every mother and father, hopeful child, inventor and explorer, every teacher of morals, every corrupt politician, every “superstar,” every “supreme leader,” every saint and sinner in the history of our species lived there – on a mote of dust suspended in a sunbeam.” –Carl Sagan, Pale Blue Dot: A Vision of the Human Future in Space. If you’re looking for the densest planet in our solar system, you don’t have to look far: Earth is the densest planet in our Solar System. It has a density of 5.51 grams per cubic centimeter. This is only the average density of the planet. The core is much denser than the oceans for example. It actually takes approximately 23 hours, 56 minutes, and 4 seconds. This rotation is respect to the distant “fixed” stars, and called “sidereal day“. A sidereal day is the length of time it takes a planet to rotate from the perspective of a distant star. Despite a sidereal day seems pretty clear, it’s not what our calendars and clocks are based on. Because there is a nearer star whose position relative to us ha a bigger effect on our lives: the sun. So, in practice, we measure a day from noon to noon – from when the sun crosses a meridian to when the sun crosses the same meridian again. This is called “solar day”. The Earth spins around its axis Earth’s counterclockwise. It also moves around the Sun counterclockwise. After a sidereal day, the Earth moves a bit along its orbit. So some more rotation is required for the same meridian to point back towards the Sun. That’s why a “solar day”, the longer definition of one rotation, what the modern calendar and clock are based on, is 24 hours. Because of its rotation, the shape of Earth is an oblate spheroid, a sphere that is slightly squashed at its poles and slightly swollen at the equator. Despite it is not a perfect sphere, the Earth still definitely does not look like this. 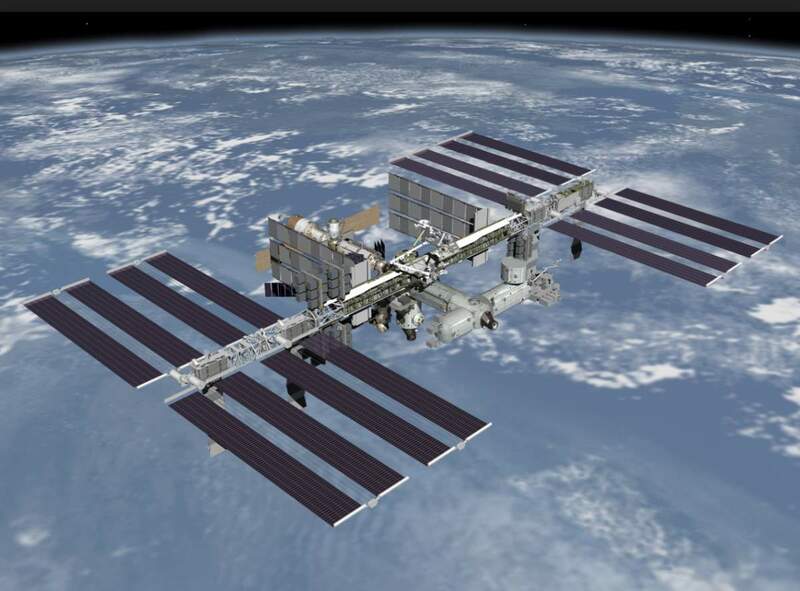 The International Space Station (ISS) is the most expensive object ever constructed. In 2010 the cost was expected to be $150 billion. The International Space Station (ISS) is a space station, or a habitable artificial satellite, in low Earth orbit. Its first component launched into orbit in 1998, and the ISS is now the largest artificial body in orbit and can often be seen with the naked eye from Earth. It is the most expensive object ever constructed. 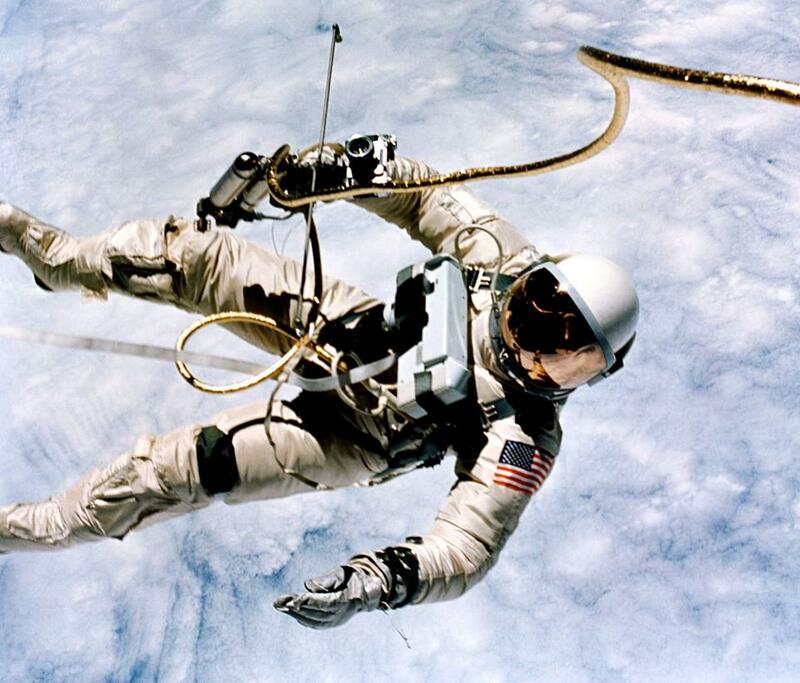 It is a common myth that your body would explode in space if you don’t wear a spacesuit. Human skin is strong enough to keep the body from bursting. In fact, you can live up to two minutes in the space unprotected. But, eventually, of course, you’d die. Also, you won’t freeze immediately in the space, as in the Hollywood movies, despite its average temperature is so low (3 K or −270 °C; −454 °F). Because there’s no matter in the space, so the heat does not leave the body quickly enough. You only lose heat via thermal radiation, of course, you will get colder and eventually freeze but very, very slowly. There’s also a thing called Armstrong limit, often called Armstrong’s line. It is the altitude that produces an atmospheric pressure so low that water boils at the normal temperature of the human body: 37 °C (98.6 °F). The Armstrong line begins at an altitude of approximately 18 km (60,000 ft) to about 19 km (62,000 ft). It would be better to wear a spacesuit above that altitude, for your own safety (your blood’s not going to boil though, as the walls of the veins keep your blood pressure high enough to stop your blood from boiling). At or above the Armstrong limit, exposed bodily liquids such as saliva, tears, urine, blood and the liquids wetting the alveoli within the lungs —but not vascular blood (blood within the circulatory system), as explained before— will boil away without a pressure suit, and no amount of breathable oxygen delivered by any means will sustain life for more than a few minutes. Speaking of surviving in the vacuum, Tardigrades, also known as water bears, can live 10 days in the vacuum, which makes them the hardest animal in existence. Two species of dried-up tardigrades was sent to space in 2007, and ten days later, they’ve been brought back, alive. They can also survive extreme conditions that would be rapidly fatal to nearly all other known life forms. They can withstand temperature ranges from 1 K (−458 °F; −272 °C) (close to absolute zero) to about 420 K (300 °F; 150 °C), pressures about six times greater than those found in the deepest ocean trenches, ionizing radiation at doses hundreds of times higher than the lethal dose for a human, and the vacuum of outer space. They can go without food or water for more than 30 years, drying out to the point where they are 3% or less water, only to rehydrate, forage, and reproduce. Tardigrades, also known as water bears, can live 10 days in a vacuum, and despite they look alien, they are somehow beautiful. They are also not that big, the biggest adults may reach a body length of 1.5 mm (0.059 in), the smallest below 0.1 mm. The Great Wall of China frequently billed as the only man-made object visible from space, but, in fact, it is a common misconception about Earth. Most times, it isn’t visible from the space. In fact, according to NASA, it is very difficult to see or photograph the Great Wall from even the low Earth orbit. It very rarely can be visible, and to an aided eye, under special conditions. But, you can see a lot of things people have made, and perhaps most visible from low Earth orbit are cities at night. Cities can be seen during the day too, as can major roadways and bridges, airports, dams, and reservoirs. The Earth has only one natural satellite, but it is really big: with a diameter of 2,159.2 miles (3,475 km), it is the fifth biggest moon in the solar system. 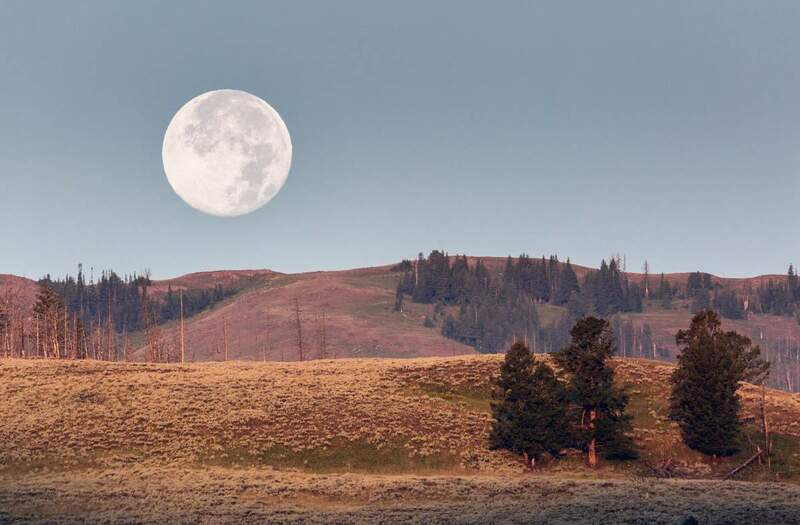 But, even more interesting, the moon is 27 percent the size of Earth, a much smaller ratio (1:4) than any other planets and their moons in our solar system. The Sun is 400 times larger than the Moon. However, it’s 400 times farther away from Earth, making them appear the same size in the sky. 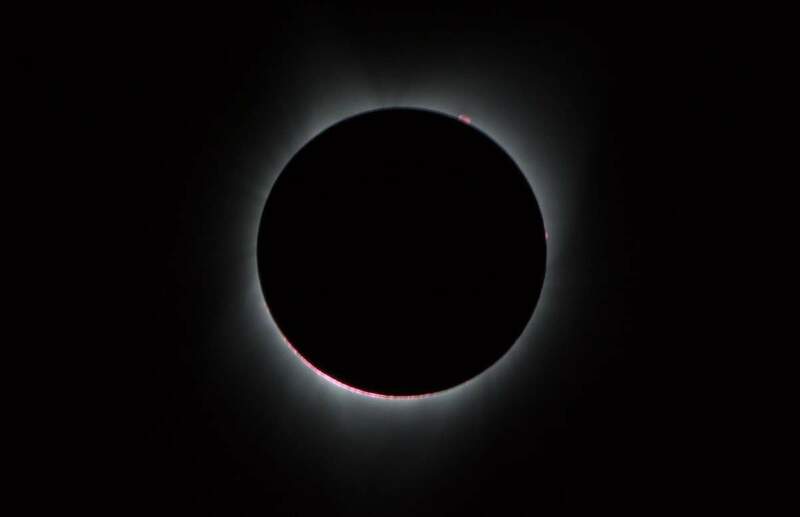 That’s how and why total solar eclipses occur when an observer (on Earth) passes through the shadow cast by the Moon which fully blocks (“occults”) the Sun. Since the launch of Sputnik 1 (4 October 1957), 38,000 artificial satellites have orbited the Earth. Still more than 22,000 man-made objects (10 cm/3.94 in or longer) up there. Only 5% of them are functioning satellites. 8% of them have spent rockets while the remaining 87% are fragments and inactive satellites (which is actually a big problem). 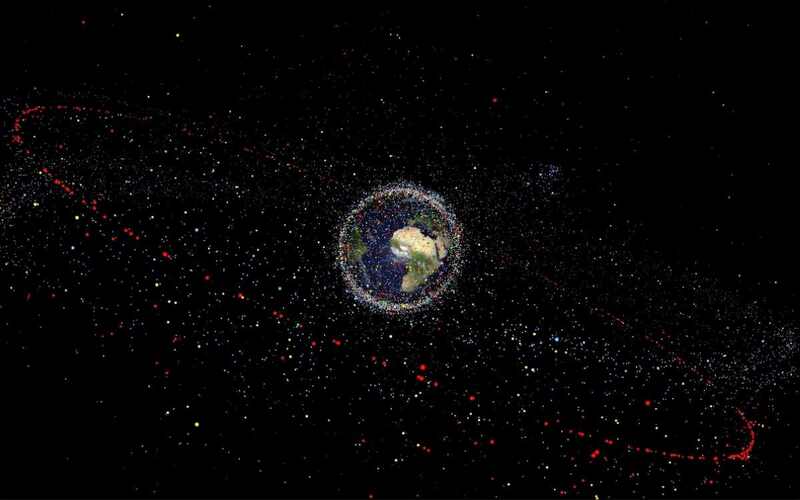 NASA estimates everyday average 1 object is returning (falling) to Earth. The Earth is 4.54 billion years old. Our galaxy, the Milky Way makes one rotation every 250 million years or so. As a result, our planet is approximately 18 galactic years old. In a clear and moonless night and far from the light-polluted areas, a young to a middle-aged person with normal vision (as you get older, your eyes become much less sensitive to faint light) can see between 2,500-4,000 stars in the Earth’s sky. The Earth is a bit closer to the Sun in early January and farther away in July. 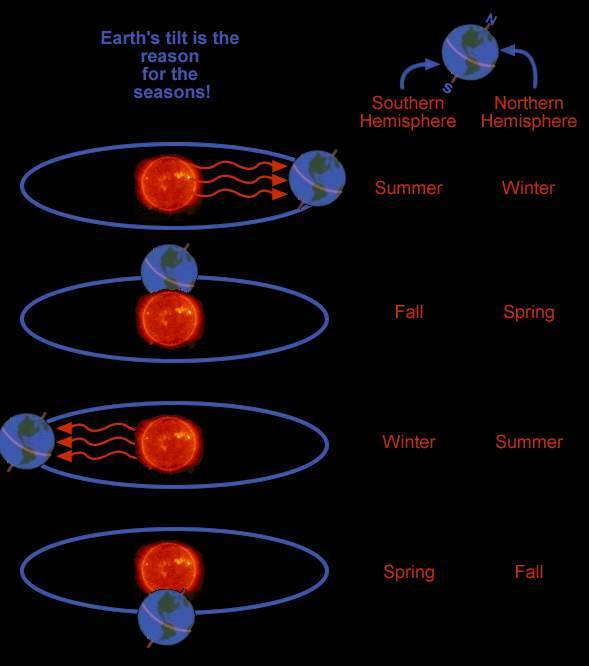 But this elliptic orbit isn’t the reason for the Earth’s seasons, this is a common misconception. The Earth’s orbit is (and in general, planets’ orbit are) very close to a circle. This misconception is due to orbits being shown from oblique view in most textbooks (and also in the image below) to save space. Today, Earth’s axis is today tilted 23.5 degrees from the plane of its orbit around the sun. As explained above, that’s how and why the seasons occur. This tilt changes in time. During a cycle that averages about 40,000 years, the tilt of the axis varies between 22.1 and 24.5 degrees. Because this tilt changes, the seasons as we know them can become exaggerated. More tilt means more severe seasons – warmer summers and colder winters; less tilt means less severe seasons – cooler summers and milder winters. Once upon a time, Pluto was a planet. Now it’s classified as a dwarf planet. With a diameter of 3,474 km (2,159 mi), our moon is bigger than Pluto, which has a diameter of 2,377 km / 1,477 mi. The Exosphere, the outermost layer of Earth’s atmosphere extends from an altitude of up to 630,000 kilometers (391,000 miles) away, or 50 times the diameter of our planet, where it merges into the solar wind. For comparison, the average distance between Earth and the Moon is 384,400 km (238,855 miles). In other words, the outer edge of Earth’s atmosphere extends far beyond the moon. But, the atmosphere becomes thinner and thinner with increasing altitude, with no definite boundary between the atmosphere and outer space. Three-quarters of its mass is within about 11 km (6.8 mi; 36,000 ft) of the surface (it has a total mass of about 5.15×1018 kg). The Kármán line, at 100 km (62 mi), or 1.57% of Earth’s radius, is often used as the border between the atmosphere and outer space. Atmospheric effects become noticeable during atmospheric reentry of spacecraft at an altitude of around 120 km (75 mi). This phenomenon is known as airglow. Airglow occurs when atoms and molecules in the upper atmosphere, excited by sunlight, emit light to shed their excess energy. Or, it can happen when atoms and molecules that have been ionized by sunlight collide with and capture a free electron. In both cases, they eject a particle of light – called a photon – in order to relax again. The phenomenon is similar to auroras, but where auroras are driven by high-energy particles originating from the solar wind, airglow is energized by ordinary, day-to-day solar radiation. And unlike auroras, airglow constantly shines. Between 100 and 300 tons of small meteorites, mainly fragments of dust, enter the atmosphere every day. And each day, up to 4 billion meteoroids fall to Earth. The largest known meteorite (as a single piece), and the most massive naturally-occurring piece of iron known on Earth’s surface left no crater. It’s the Hoba meteorite, lies on the farm “Hoba West”, not far from Grootfontein, in the Otjozondjupa Region of Namibia. Hoba is a tabloid body of metal, measuring 2.7×2.7×0.9 meters (8.9×8.9×3.0 ft). In 1920 its mass was estimated at 66 tons. Erosion, scientific sampling, and vandalism reduced its bulk over the years. The remaining mass is estimated at just over 60 tons. The meteorite is composed of about 84% iron and 16% nickel, with traces of cobalt. The impact is thought to have occurred more recently than 80,000 years ago. The meteorite is unusual in that it is flat on both major surfaces, possibly causing it to have skipped across the top of the atmosphere like a flat stone skipping on water. Thus reducing its velocity and resulting in no crater. The meteor would have been slowed to about 720 miles per hour (0.32 km/s) from its speed on entering the Earth’s atmosphere, typically in excess of 10 km/s for similar objects. Lightning strikes reach the ground on Earth as much as 8 million times per day or 100 times per second, according to the National Severe Storms Laboratory. Death Valley’s Furnace Creek (a census-designated place in Inyo County, California) holds the record for the highest reliably recorded air temperature in the world, 134 °F (56.7 °C) on July 10, 1913. On the other hand, Vostok station of Antarctica by far the coldest spot on earth, with the lowest recorded temperature at -89.2 °C (-128 °F) on July 21, 1983 (during the Antarctic winter). It is hard to believe that the Earth’s driest place is in one of its poles, but this is the truth. It’s in Antarctica: the McMurdo Dry Valleys, which have seen no rain for nearly 2 million years. And the wettest place on Earth is in India – according to the Guinness Book of World Records, Mawsynram received 26,000 millimeters (1,000 in) of rainfall in 1985. 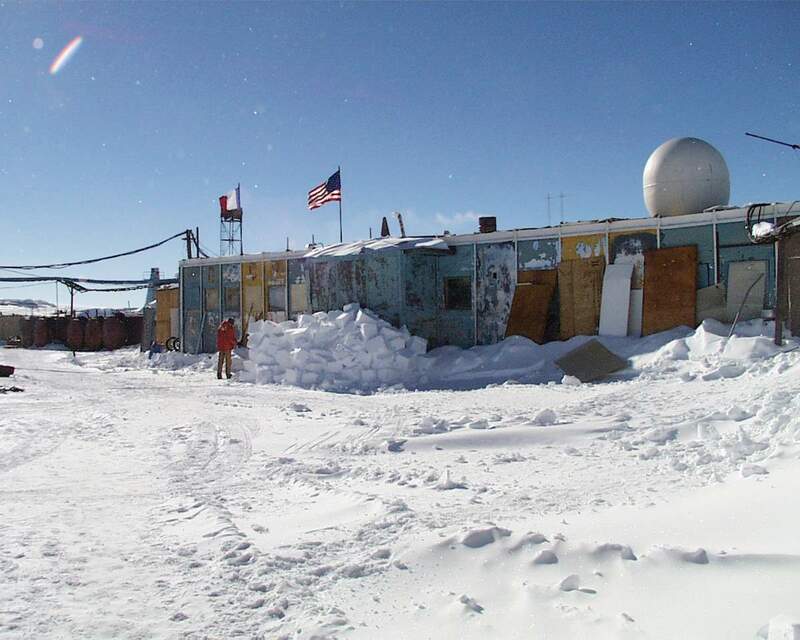 Vostok Station (means “Station East” or “East Station” in English) is a Russian (formerly Soviet) research station in inland Princess Elizabeth Land, Antarctica. Founded by the Soviet Union in 1957, it is by far the coldest spot on earth, with the lowest recorded temperature recorded at -89.2 °C (-128 °F) on July 21, 1983 (during the Antarctic winter). On average, Vostok also is the coldest place on Earth. The average temperature of the cold season (from April to October) is about −65 °C (−85 °F), while the average temperature of the warm season (from November to March) is about −42 °C (−44 °F). The Himalayas are the product of a collision between two continental plates (India and Eurasia, because of the continental drift explained above). The collision continues today, and the Himalayas are still rising. Mount Everest, the highest mountain on Earth is rising about 4 millimeters per year on average. But, Nanga Parbat, the western-most peak of the Himalayas, the world’s ninth-highest at 8,126 meters (26,660 ft) above sea level, is growing faster than any other sizable region on Earth (at a rate of 7 mm/year). Today, Mount Everest’s peak is 8,848 meters (29,029 ft) above sea level. 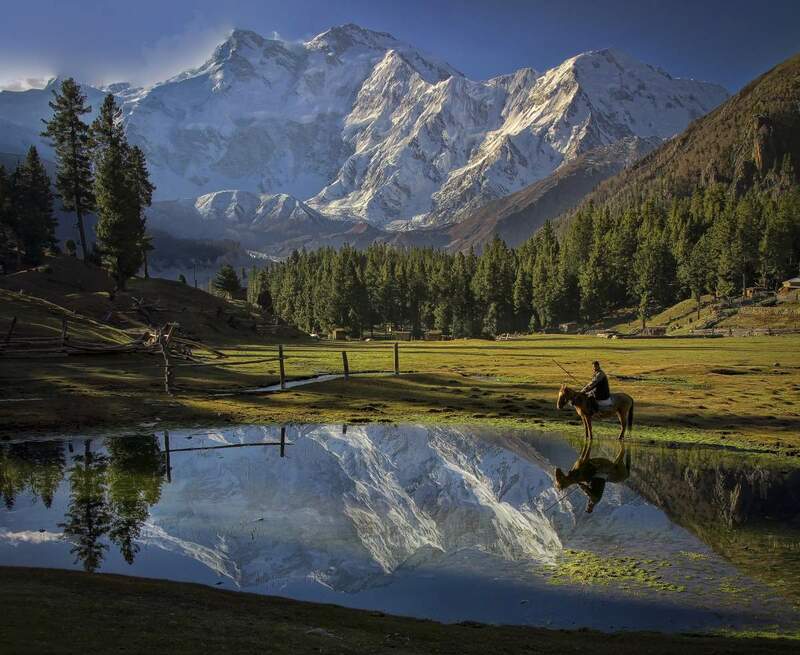 With a simple calculation, after around 241,000 years from now (just a blink of an eye in the geological scale), Nanga Parbat will be the world’s highest mountain. Since the Earth is not a perfect sphere, the measurement from pole to pole is about 43 km (26.7 mi) less than the diameter of Earth across the equator (see #6). That title goes to Chimborazo, a currently inactive stratovolcano in the Cordillera Occidental range of the Andes. Since Mount Everest is the highest mountain by elevation above sea level, Chimborazo’s location along the equatorial bulge makes its summit the farthest point on the Earth’s surface from the Earth’s center. In a way, it is the “real” highest mountain on Earth. Canada has an extremely large number of lakes, with the number of lakes larger than three square kilometers being estimated at close to 31,752 by the Atlas of Canada. Of these, 561 lakes have a surface area larger than 100 km2, including four of the Great Lakes. Almost 9% (891,163 square kilometers / 344,080 sq mi) of Canada’s total area is covered by freshwater. There is no official estimate of the number of smaller lakes. 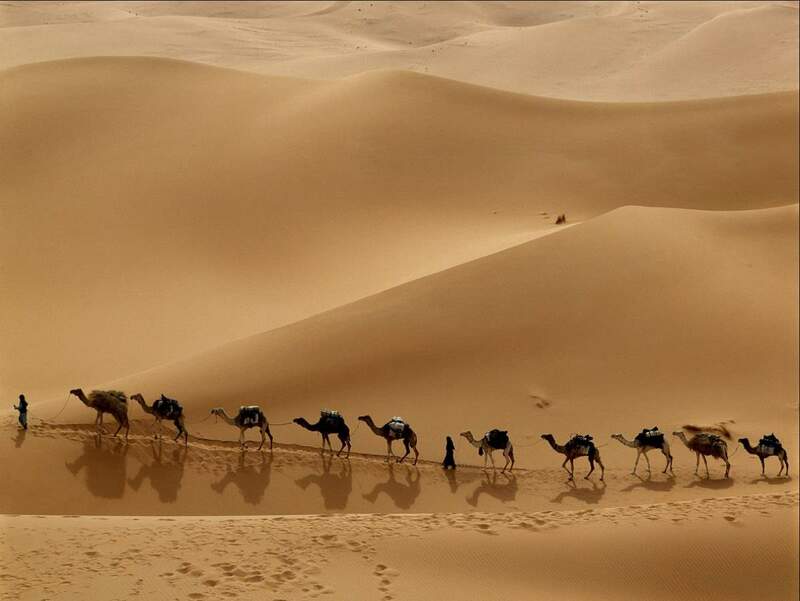 The Libyan Desert is one of the aridest and sun-baked places on earth. In places, decades may pass without seeing any rainfall at all, and even in the highlands rainfall seldom happens, once every 5-10 years. Likewise, the temperature in the Libyan Desert can be extreme; on 13 September 1922 the town of ‘Aziziya, which is located southwest of Tripoli, recorded an air temperature of 58 °C (136.4 °F), considered to be a world record. In September 2012, however, the world record figure of 58 °C was overturned by the World Meteorological Organization and the record went back to the Furnace Creek. Antarctica contains about 90% of the world’s ice (and thereby about 70% of the world’s fresh water). If all of this ice were melted, sea levels would rise about 60 meters (200 ft). Antarctica is also the biggest desert on Earth. According to the volcanodiscovery.com, the most active volcano in the world is Kīlauea (Hawaii). It is followed by Mount Etna in Italy and Piton de la Fournaise on La Réunion island. After that, it is difficult to decide the exact order on the list, but the following are very close: Stromboli (which has erupted many times and is constantly active with minor eruptions, often visible from many points on the island and from the surrounding sea, giving rise to the island’s nickname “Lighthouse of the Mediterranean”), Merapi, Erta Ale, Ol Doinyo Lengai, Unzen, Yasur, Ambrym, Arenal, Pacaya, Klyuchevsky, Sheveluch, and Erebus. But what is an active volcano? The Smithsonian Global Volcanism Program defines an active volcano as having erupted within the last 10,000 years. There are approximately 500 active volcanoes in the world today, not including those underneath the oceans. A volcano finally goes extinct when there’s no lava supply in the magma chamber beneath the volcano. Lava cascaded off of cliffs on Hawaii’s Big Island on Wednesday (July 27, 2016), marking the first time since 2013 that one of Kilauea’s lava flows reached the ocean. Lava from the volcano, located in Hawaii Volcanoes National Park, began erupting in late May 2016 and has been continuously moving on a six-mile journey towards the coast.Authorities have said the lava poses no threat to any towns, but have cautioned tourists to keep their distance. Despite the warning, people could be seen near the flow, taking pictures and watching the spectacle. And that percentage is growing, because of the global warming. If sea level should rise by 3 meters (10 feet), many of the World’s coastal cities, like Venice, London, New Orleans, and New York, would be under water. The Pacific Ocean is by far Earth’s largest ocean basin, covering an area of about 59 million square miles (155 million square kilometers) and containing more than half of the free water on Earth, according to NOAA (National Oceanic and Atmospheric Administration). It’s so big that all of the world’s continents could fit into it. 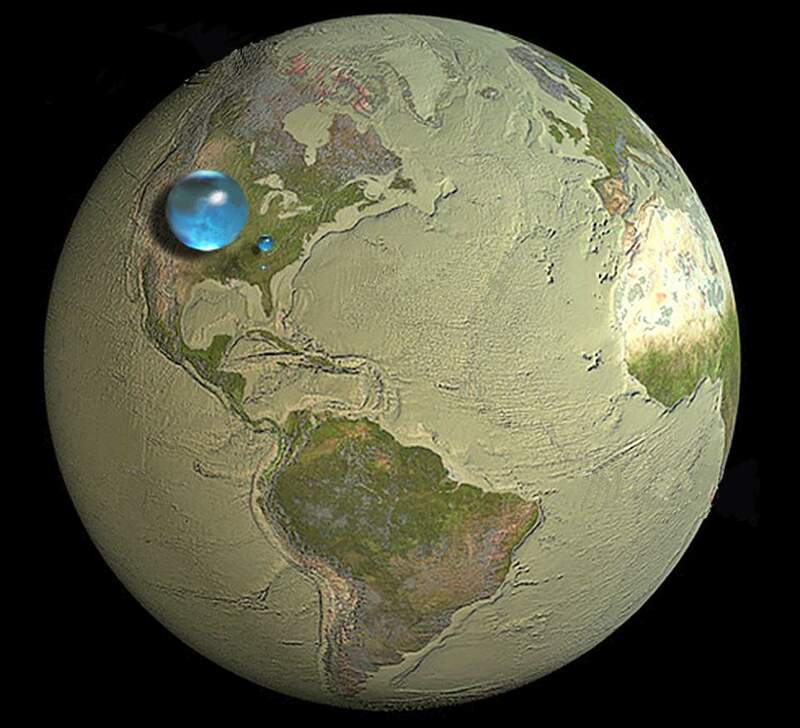 Yes, Pacific is big, and 71% of the Earth’s surface is covered by oceans – but despite that, all Earth’s water, liquid fresh water, and water in lakes and rivers can fit into a sphere 860 miles (1384.04 km) in diameter. All Earth’s water, liquid fresh water, and water in lakes and riversSpheres showing:1. All water (sphere over the western U.S., 860 miles/1384.04 km in diameter)2. Fresh liquid water in the ground, lakes, swamps, and rivers (sphere over Kentucky, 169.5 miles/272.78 km in diameter), and3. Fresh-water lakes and rivers (sphere over Georgia, 34.9 miles/56.17 km in diameter).Credit: Howard Perlman, USGS; globe illustration by Jack Cook, Woods Hole Oceanographic Institution (©); Adam Nieman. Jupiter’s moon Europa is just a bit smaller than our Earth’s moon, may have a world-wide ocean 100 kilometers (60 miles) deep covered with ice. Such an ocean might contain more liquid water than all the Earth’s oceans combined! It is many more than are found in Earth’s other oceans. And 2/3 of them are yet to be described. 39. The top ten feet (3 meters) of the ocean holds as much heat as the entire atmosphere. What’s more; Ten meters (33 feet) of ocean depth has the same mass as the whole atmosphere. 2.5 centimeters (1 inch) of the ocean depth has as much water as the whole atmosphere. Seven million years ago, when geological forces lifted the Straits of Gibraltar and blocked the flow of Atlantic Ocean water into the Mediterranean, the Mediterranean Basin was completely dry! And in some places, its bed lies 4,000 meters (13,000 feet) below sea level. When the Straits of Gibraltar dropped to today’s level, what may have been the Earth’s greatest waterfall may have run for 1,000 years, until the sea was full. Today, the lowest point on dry land is the shore of the Dead Sea, shared by Palestine, Israel, and Jordan, which is 418 meters (1,371 feet) below the sea level. It’s called Point Nemo, and it lies at least 2,688 km (1,670 mi) from the nearest land. Point Nemo is the remotest place from any human civilization you can find on Earth. The magnetic poles of Earth move, due to magnetic changes in the Earth’s core. In 2001, the North Magnetic Pole was determined by the Geological Survey of Canada to lie near Ellesmere Island in northern Canada at 81.3°N 110.8°W. It was situated at 83.1°N 117.8°W in 2005. In 2009, while still situated within the Canadian Arctic territorial claim at 84.9°N 131.0°W, it was moving toward Russia at between 55 and 60 kilometers (34 and 37 mi) per year. As of 2016, the pole is projected to have moved beyond the Canadian Arctic territorial claim to 86.4°N 166.3°W. And as of 2005, the South Magnetic Pole was calculated to lie at 64°31’48”S 137°51’36”E, placing it off the coast of Antarctica, between Adelie Land and Wilkes Land. In 2015 it lay at 64.28°S 136.59°E (est). That point lies outside the Antarctic Circle. Due to polar drift, the pole is moving northwest by about 10 to 15 kilometers per year. Its current distance from the actual Geographic South Pole is approximately 2860 km. Furthermore, since the Earth’s magnetic field is not exactly symmetrical, the North and South Magnetic Poles are not antipodal, meaning that a straight line drawn from one to the other does not pass through the geometric center of the Earth. 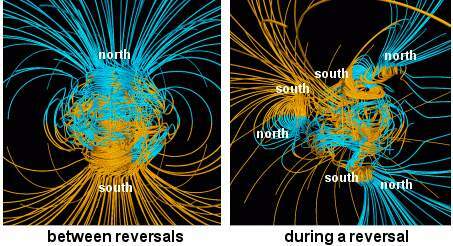 And the positions of magnetic north and magnetic south are interchanges, which is called “Geomagnetic reversal”. The Earth’s magnetic field alternates between periods of normal polarity, in which the direction of the field was the same as the present direction, and reverse polarity, in which the field was the opposite. These periods are called chrons. The time spans of chrons are randomly distributed with an average of 450,000 years. Most reversals are estimated to take between 1,000 and 10,000 years. The latest one, the Brunhes-Matuyama reversal, occurred 780,000 years ago; and may have happened very quickly, within a human lifetime. A brief complete reversal, known as the Laschamp event, occurred only 41,000 years ago during the last glacial period. That reversal lasted only about 440 years with the actual change of polarity lasting around 250 years. It is surrounded by a liquid, outer core composed of a nickel-iron alloy. It is about 1,355 miles (2,180 km) thick. The inner core spins at a different speed than the rest of the planet. This is thought to cause Earth’s magnetic field. The temperature of Earth’s core is estimated at 6,000 °C (about 10,800 °F). That’s as hot as the surface of the sun. It’s called Rio Hamza (Hamza river) – an unofficial name. It slowly flows for approximately 6,000 kilometers (3,700 mi) long. Its discovery was announced in 2011. The unofficial name is in honor of scientist Valiya Mannathal Hamza, of Brazil’s National Observatory, who has undertaken research on the region for four decades. The Hamza and the Amazon are the two main drainage systems for the Amazon Basin. The reported flow rate of the Hamza, at approximately 3,000 cubic meters (110,000 cu ft) per second, is 3% of the Amazon’s. It runs west to east, some 4,000 meters (13,000 ft) below the Earth’s surface, and follows roughly the path of the Amazon river. The Hamza empties in the Atlantic Ocean, deep under the surface. Its own water has a high salt content. Rio Hamza’s width ranges between 200 and 400 kilometers as opposed to Amazon’s 1 and 100 kilometers. The Amazon flows at an average speed of 5 meters per second but in Hamza, the water flows at an average speed of less than 1 millimeter per hour. 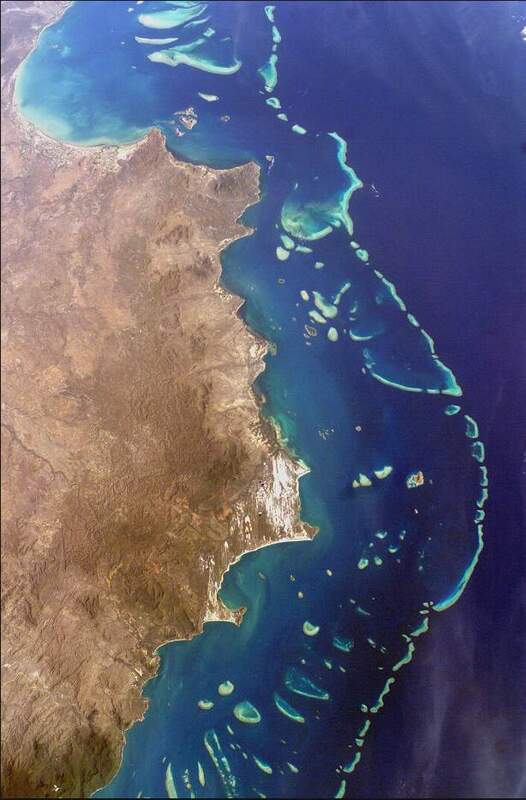 The Great Barrier Reef off the coast of Queensland, Australia is the largest living structure on Earth. Stretching for 1,429 miles over an area of approximately 133,000 square miles, it is the largest coral reef system in the world. But a coral reef is not a single living thing – they are built by colonies of tiny animals found in marine waters that contain few nutrients. A specific honey fungus measuring 2.4 miles (3.8 km) across in the Blue Mountains in Oregon is thought to be the largest living organism on Earth. Read more: Great Barrier Reef facts (infographic). Until recently, our planet was thought to be inhabited by nearly 10 million species (107). When microorganisms are taken into account, recent studies suggest that Earth might be home to a staggering 1 trillion (1012) species. This number is way greater than the number of stars in the Milky Way galaxy (100-400 billion). Our planet is home to 8.7 million species. Even after centuries of effort, some 86 percent of Earth’s species have yet to be fully described. If the estimation at #44 is true, only 0.0001218 percent of the world’s species have been identified. That’s why it has been described as the “lungs of our planet”. It’s named Holocene extinction event and started around 10,000 B.C. Two-thirds of the world’s wildlife will be extinct by 2020. And the cause is, you guess what, humans.